Governed by his philosophy of humility and integrity, Aruna Samarawickrama has built a legacy of charity and innovation through his initiative – Aawas International, which provides state-of-the-art prosthetic legs for disabled soldiers, amputees and injured animals. Born and raised in a small village in Matara, Samarawickrama recalls his early days with an air of sadness as his father’s death during his schooling years became a focal point of his adolescence. It also spurred him on to great things although he humbly claims that he doesn’t consider himself a great inventor or designer. He stated that even during his A/L years, he worked tirelessly to build up a small welding business he had started in the area to help his family with finances. Given his early circumstances, going straight from school to the garage was a routine that was not interrupted even during his exams. Tragedy struck once again when his close friend, who had joined the Army, lost a limb on the battlefields of Chavakachcheri. When he witnessed the devastating effects of his friend’s disability, he decided to use his talents to help his friend. “I was determined to build something that would help him carry out his daily tasks without being hindered in any way. That was really the start of my journey,” he said. He soon conceived the idea to build an artificial leg that is lightweight and manoeuvrable; most importantly it would have to allow the user to move without being identified as someone suffering from a disability. 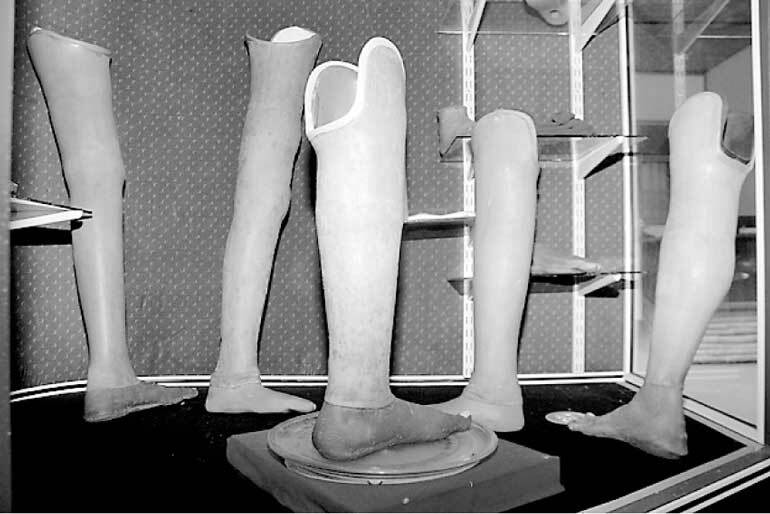 The artificial legs that are now engineered for patients at his facility – Aawas International – are custom built, taking into account the patient’s weight, height, living conditions and environment, as well as his/her occupation. Furthermore, the ankles and toes of the prosthetics work according to the weight and height of the user, enabling the user to easily climb steps and hills as well as perform other physical tasks such as riding a bicycle. Having built his first prototype in Dambulla, he was able to patent his creation in 2005 with the help of a close friend. It was at this point that his creation would serve a much greater purpose than helping just his friend. Along with his creative genius came his true calling – to serve. In 2005 he won the Presidential Award for the best new invention and went on to win a Silver medal in the science sector at the 35th new inventors competition held in Geneva in 2007. His creation has now bagged 38 awards both locally and internationally. “It was at this time that I received offers close to $ 50 million for the patent. I was even offered residency in some countries but I was determined to do something for this country. I’m really not interested in money,” he said. 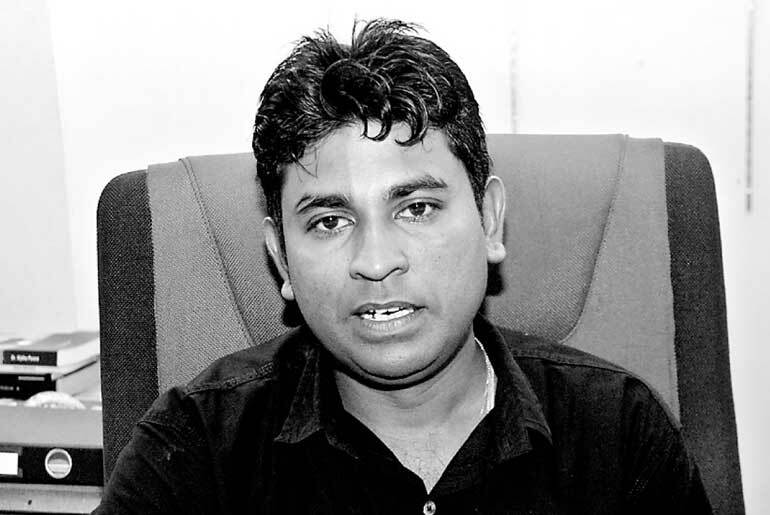 After rejecting several lucrative offers, Samarawickrama caught the eye of former President Mahinda Rajapaksa who gave him a plot of land in Kalutara on which to build his facility. He was also granted a loan to kick start his project. His honesty coupled with the integrity of his mission meant that Samarawickrama received help from many people along the way and he counts himself fortunate for how fate has rewarded him so far. “I don’t have my father anymore but along the way, my family has increased greatly. There are many people in this country that show a great affection for inventors. That’s where I found my strength,” he said. At the core of his determination to refrain from selling his idea to a foreign company is his great love for Sri Lanka and his passion to serve its people. 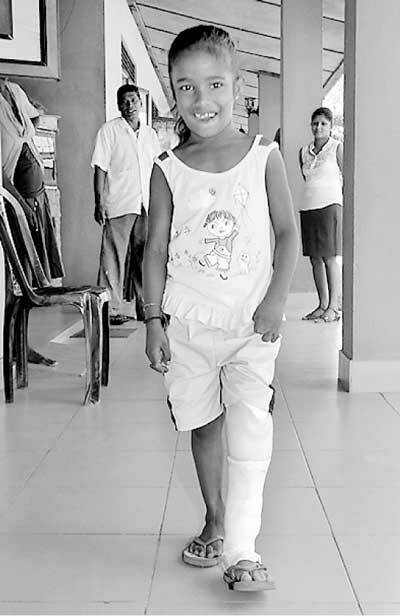 He stated that instead of importing artificial limbs from foreign countries, Sri Lanka could easily produce a limb that is of the same standard or an even higher standard domestically which would mean that the country saves money. “The word ‘local’ has a negative connotation in our culture. People have associated the term ‘locally manufactured’ with the word ‘cheap’ which I don’t agree with. This project is proof that we can also build something locally that is of international standards,” he said. He added that his personal idea of imperialist conspiracies were great ideas from small nations being bought over by richer countries. In the context of his beliefs, he stated that he would never sell his nation out in such a way. 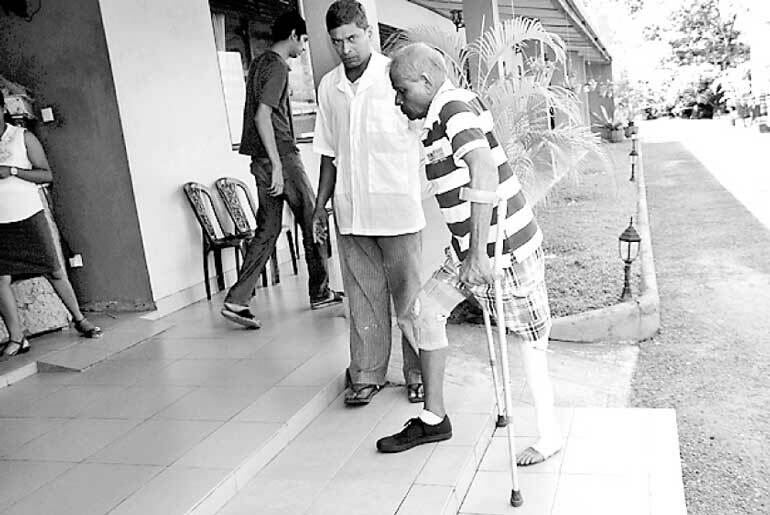 His facility in Kalutara contains a workshop, offices, a cafeteria, and an Ayurvedic centre as well as a ward that could hold around 35 patients at a time. Samarawickrama has also set up a foundation to which patrons are able to donate funds. Furthermore, donors who wish to sponsor prosthetic limbs are encouraged to pick whom they wish to donate the limb to as well as come to Aawas International to meet them. In addition to providing prosthetic legs to the disabled, Aawas International also provides patients with rehabilitative care and training. The centre also builds special prosthetic limbs for animals including elephants, deer, dogs and horses working closely with the Wildlife Department. Being the tireless worker and visionary he is, Samarawickrama stated that the most important thing for a young inventor to remember is that they must think outside the box. He said that restricting one’s mind to the traditional laws of the sciences will only stifle an inventor’s creative instinct. “I find that people are bound by the realities they have been taught. If Isaac Newton never proved his theory of gravity, we may not have vehicles that run on the ground. That is a thought I kept with me when removing my own boundaries in terms of creativity,” he said. Aruna Samarawickrama is one of four inventors who have been shortlisted for The Ray award, organised by the Ray Wijewardena Charitable Trust, which will be presented on 24 August at The Kingsbury in Colombo.